Yesterday was fairly tiring, a fun adventure, and I felt a big sense of accomplishment. We did it, yay, and I know I could get through all the passes through the Sierra to past Mammoth--where I plan to get off the trail. But yesterday was slow going, real slow--a mile an hour over the pass, across roughly five miles of snow. And there's not a lot of information on the passes ahead. I do know of one person who went to the top of Glen Pass (the next pass) a few days ago, and turned back--the secondhand information I got was that he might be able to get down, but certainly couldn't back up if he ran into difficulty, and there are still four other difficult high passes beyond Glen Pass in the 112 miles to Mammoth. Yesterday I also very much felt that I should take a rest day in Lone Pine before getting on the trail; I'm a bit achy and sore from stretching and contorting all sorts of ways as I scrambled over the boulders and unpostholed myself. But I got to thinking a bit more: yep, I could all these passes, up and down in the snow, I can handle the postholing if I'm careful. Sure it'll be a bit cold, and definitely slow. And I bet some of the passes are even slower going, like that high elevation passage just beyond Muir Pass to McClure Meadow that was snowy when I last walked that section of the trail in August 1979, or the section I've never been on past Pinchot Pass. But is that what I really want? To crawl and posthole north for the next 10 or 12 days? 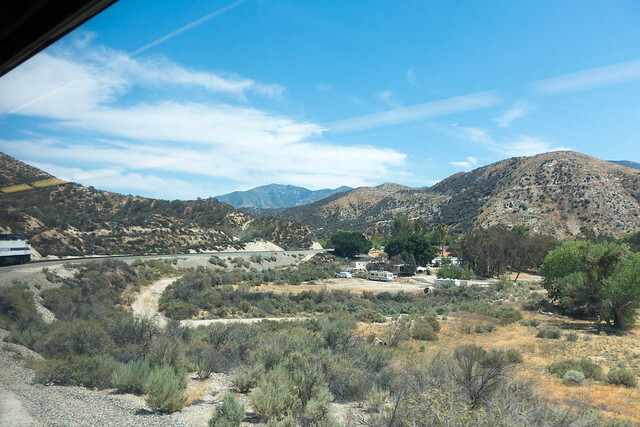 What do I really want out of the PCT? I mulled this over for several hours yesterday as I went up the second pass of the day. 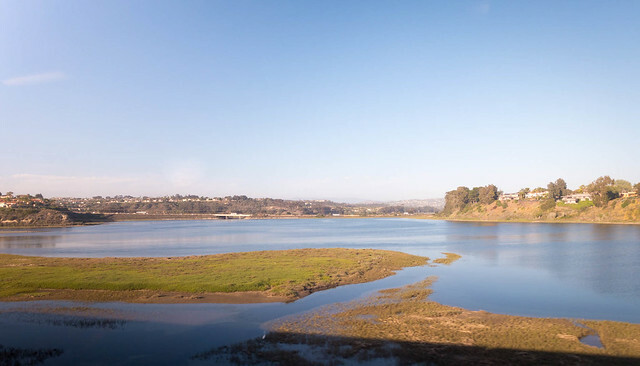 I'm here to appreciate the scenery, the wildlife, enjoy the social camaraderie, and explore the landscape of California and Oregon and Washington. I'm not on the PCT as a personal challenge, I'm not on the PCT to compete with someone else's PCT experience (or speed record, feh, I don't get people that see the PCT as a competitive race course. I'm not out to apply my technical expertise to conquer the landscape. The PCT experience I'm after is more a relaxed contemplative cruise than a exciting adrenaline-fueled expedition. Having said that, I did enjoy yesterday a lot, it was adventurous and taking on the unknown. But I need a break after doing that for just a day... and I don't really want to do that large effort every day for the next dozen days just to get through the Sierra: that makes this mostly work and not a lot of fun. The scenery is some of the best in the world, and I'd feel I'd be missing it if my focus is concentrating on getting up and over the next pass in the cold and possibly wet; Joko and I were pretty lucky the weather was so mild as well. Besides the snow, there's another factor. The Other Half (Chris) and I have walking trip in Japan planned and paid for, and I want to be home around the 12th to pack and get readjusted and frankly just rest. Yesterday I tweaked my left knee, twice, and banged up my right shin. How many more injuries might I have on the additional Sierra passes? I really don't want to be injured for that vacation-from-the-PCT-vacation, where we'll be hiking 50 or 80 miles on the Kumando Kudo trail, near Kyoto. With the current trail conditions and the time constraints this month, I've decided not to continue north right now, and step off the PCT. Joko and I caught an Eastern Sierra Transit bus in Independence and took it to Lone Pine, where we enjoyed an hour at McDonald's. 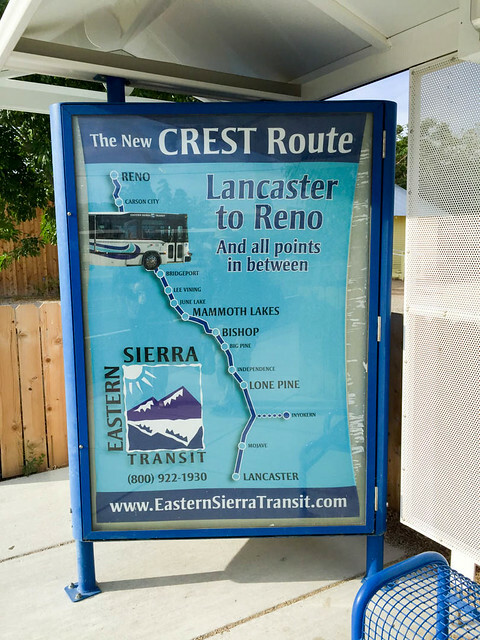 From there, the ESTA bus drove three hours south to Lancaster, and I looked up at the PCT at various places: on the crest above Lone Pine, leaving Walker Pass. I spotted each of the windows where you could look down from the PCT onto the Mojave Desert. 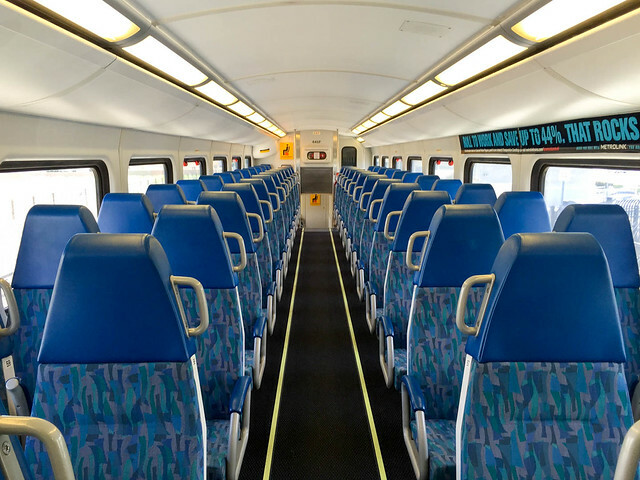 In Lancaster, I caught a very clean and tidy and modern Metrolink train south to downtown Los Angeles (complete with power outlets!) passing over the PCT at the Acton KOA. 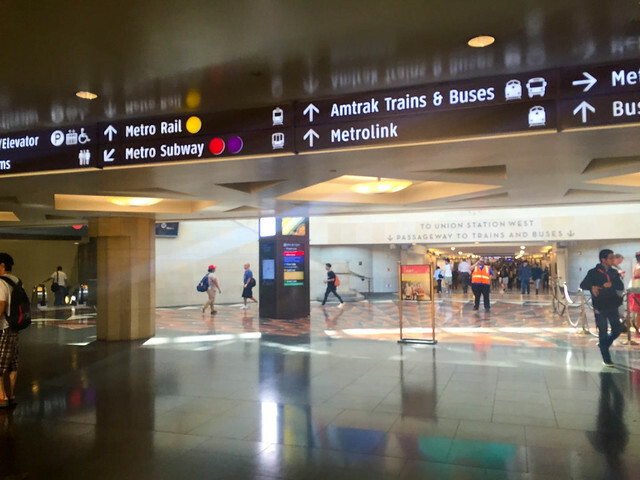 And at Union Station, I marvelled at the newness and the actual public transit--when I lived in LA in the 1980s, the RTD was a crappy excuse for public transit, and Union Station was pretty much abandonded and more useful as a movie set than the public tranisit hub of the second largest city in the US. So much has changed, it's actually usable and you can get around if you have the time. If nothing else, the PCT has shown me there's a lot of space and a lot of infrastructure in California. 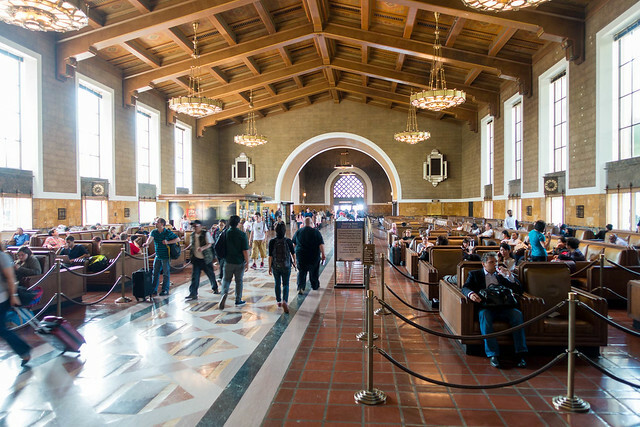 At Union Station, I had a 30 minute wait, and hopped on an Amtrak train for the ride home to San Diego (and yes,I'm writing this blog post on the train :-)). 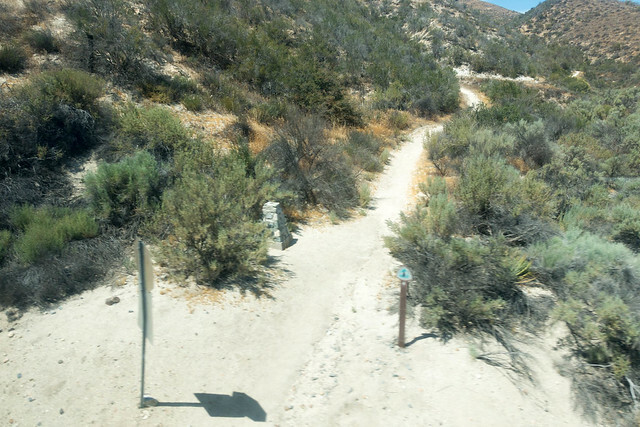 I have two weeks now to rest--but I'm still thinking a bit about doing that PCT bit I skipped over due to weather, most of Section D from I-15 at the Cajon Pass across the Angeles Crest to Acton. It's been nagging me that I went around that section, but I really wasn't geared up for snowy windy conditions. 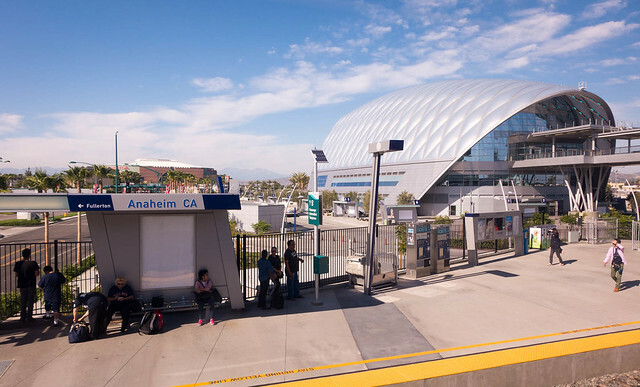 It's a five or six day walk, and I could easily take Metrolink trains to Ontario or San Bernardino to start, and the train back to San Diego from Acton. I'm thinking I just might do that after a few days at home.. There's also another reason for doing that section I've skipped over: to have some social time. I started the PCT fairly early, and I've encountered not more than 20 other hikers on the PCT in my six weeks out. It's been pretty lonely a times; many days I don't see anyone else. It would be good to have not just a scenic walk, but to enjoy a shared experience with other fellow hikers. So while I'm taking a break, I'm not done with the PCT yet :-). There's certainly more to come; it's time again to realign the puzzle pieces of weather and trail conditions and fellow hikers and my physical condition into a plan for the upcoming weeks and months.